I love learning, but I don’t like studying. Take for instance learning a foreign language. There are many ways to do this, including “studying”: studying the grammar, rote learning words and reading literature. There is nothing wrong with studying, if that works for you. It just isn’t for me. Watch movies with French audio. I love French movies. Many have a different pace, a bit slower and more thoughtful, than a Hollywood super hero blockbuster. This also makes it a bit easier to hear and understand the dialogue. My favourite French director, with lots of French dialogue, is Eric Rohmer. When in France I look out for second hand DVDs, especially movies that I really want to watch. It shouldn’t become a chore. Ideally they should have subtitles. Some streaming services (e.g. Netflix) let you choose the subtitles and audio language for some of movies and programmes. This entry was posted in Education, French on November 28, 2018 by coen. Our children’s school asked me to teach the 14 – 16 year old pupils some electronics. To make it more interesting I threw in some robotics. During an intense teaching period I spent morning sessions teaching the theory of electronics and programming, and afternoon sessions soldering the PIC-based control boards. 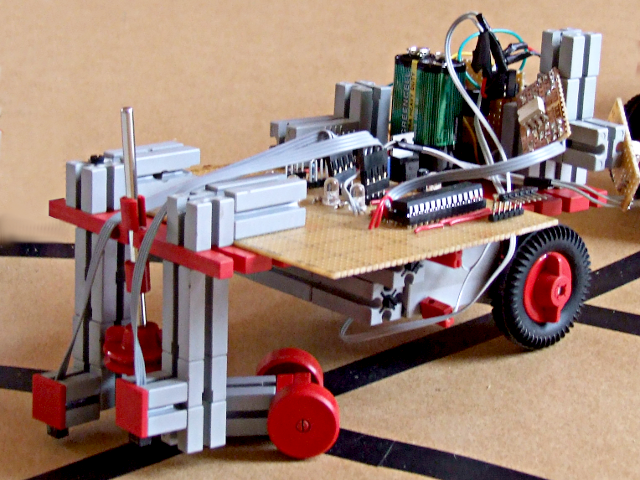 The challenge was to create a programmable line following robot, from electronic components and Fischertechnik parts (see the picture above), and to race it. The groups completed their control boards, and each created a different style robot. We had an exciting race, with last minute improvements to the control logic, and all robots finished the course. 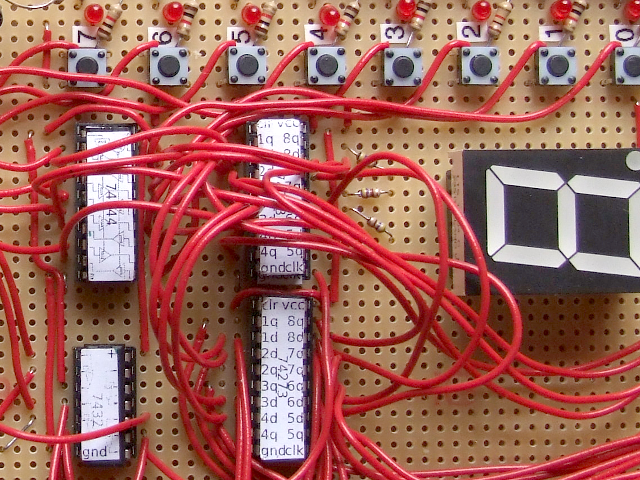 This entry was posted in Education, Electronics, Embedded Systems, Portfolio on September 23, 2015 by coen. Our children’s school (a Waldorf/Steiner school) believes that ideally children should build a computer before they use one. So I offered to work with the 15-16 year old pupils on this. My first computer was a 1802 CPU based single board computer, which I had to solder together. It had a hexadecimal keyboard (0-9, A-F), a double-digit display (not a monitor, just two digits similar to the picture above), 256 bytes of memory (yes, bytes, not kilo bytes, not mega bytes). It had a very simple instruction set, which gave me an excellent insight into the workings of the CPU. That is the experience I was aiming for: getting the pupils to get a real feel for how computers work. I designed a simple Z80-based computer, and created a curriculum consisting of building computers in small groups, programming, and an introduction to the core elements of a CPU. With a little help all groups managed to complete their computer and run some simple programs. This entry was posted in Education, Electronics, Portfolio on September 23, 2015 by coen. For the last three or more years I’ve been listening to the free French podcast by Coffee Break French. They are by far the best French podcast lessons that I have found. 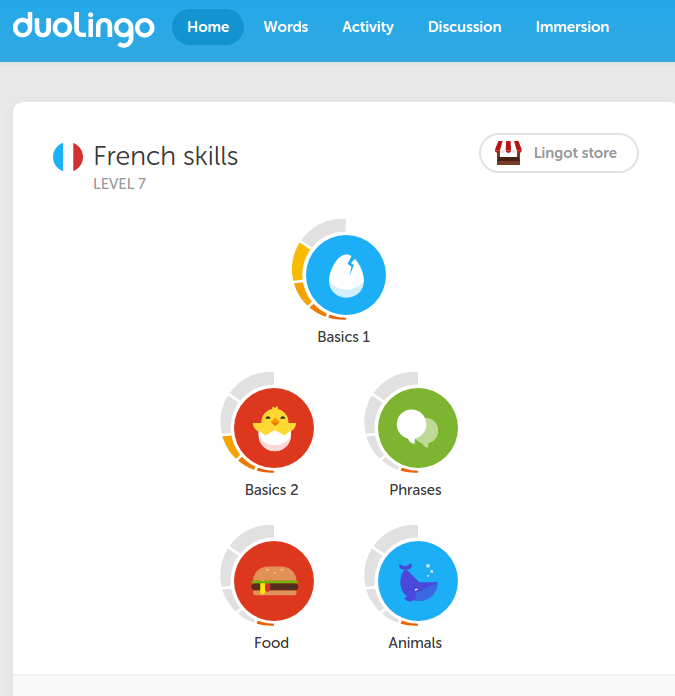 Four seasons of 40 lessons each take you from absolute beginner to confident French speaker. The lessons are a joy to listen to. Marc and his team do a great job of creating a great atmosphere, and the ongoing story keeps you coming back for more. For example, season four tells a story through a series of emails between the main characters. After a brief bit of banter between the two presenters, the email of the week is read out by a native French speaker. Then Marc gives a summary and Pierre-Benoît picks four phrases which he discusses in more detail. Finally you hear the email again. Many universities and other institutions offer Massive Open Online Courses (MOOCs). Some are self-paced (start anytime, work at your own pace) whilst many are live. Or, if your French is already fairly good and you’d like to get more experience, how about signing up for a course which is given in French, on a topic which interests you: 20 free courses in French, of which 3 currently running, 9 starting soon (i.e. register, and then study it as a live remote course) and 2 self-paced (start anytime, work at your own pace). Not for French beginners, but perhaps an interesting way to use (and thereby practice) your French. Actually, one of them is a self-paced course on French Language and Culture (link above).There is also a Foundations of Python course. More free courses in French at France Université Numérique. This entry was posted in French, Languages on September 17, 2015 by coen. I first came across Frantastique when they posted a Paris-based Python job. Unfortunately this particularly job was not suitable for remote working, so I didn’t apply. Hopefully another job will come up, since this looks like a great company to work for, doing interesting and fun stuff. 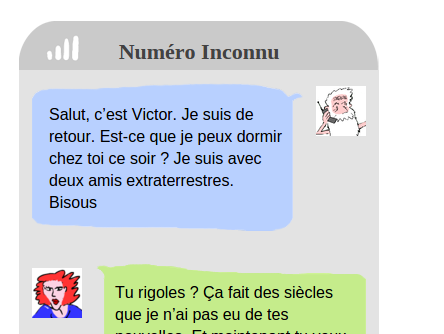 Frantastique is a great mix between fun content and serious lessons. It offers plenty of variety. According to the website, it learns from your answers, however the trial period wasn’t long enough for me to really experience this. This entry was posted in Education, French, Languages on September 17, 2015 by coen. Anki is an open source application which lets you create and view flash cards. Unlike some of the other online education sites it does one thing, and it does it well. Anki runs on Windows, Mac, Linux, iOS, Android, and any device with a web browser. Once you’ve created an account, Anki synchronises decks and your progress across all your devices. You can choose from a large collection of decks. I counted 247 French decks, some highly specialised (Theological French, 236 cards, or “etre and avoir from English to French”, 16 cards). Anki shows you the front of a card, with a question, image and/or sound. You try to answer it, before turning over the card to see the correct answer. After telling Anki how well you did the next card gets shown. Cards which you struggled with are shown again very soon, whilst cards which you found easy only come back once in a while. You can download Anki for Windows, Mac, Linux, iPhone or Android from the Anki website. If you’re using Linux Mint (or probably any other Debian or Ubuntu based Linux distro) then use the package manager (or apt-get, aptitude, etc) probably grabs an old version. When you try to connect to your online AnkiWeb account (see below) you may get an error message “Syncing failed: Please upgrade to the latest version of Anki.” To fix this, remove Anki and instead go to the Anki website, from the Linux/BSD tab, download the Ubuntu/Debian version. Double click on the downloaded file and follow the instructions. On the Anki website it says “Creating your own deck is the most effective way to learn a complex subject. Subjects like languages and the sciences can’t be understood simply by memorizing facts — they require explanation and context to learn effectively. Furthermore, inputting the information yourself forces you to decide what the key points are, leading to a better understanding“. A simple tool like Anki can be really good for the focussed and motivated learner, as part of your overall studies. Anki is a powerful no-frills flash card programme, with a large number of ready-made decks. If I was back in high school, preparing for a French exam, this is just the sort of tool which would take my studies to the next level. Also, on my Android phone I have the VidaLingua French English Dictionary. It keeps a history of the words that I’ve looked up. I would love to be able to export the list (English and French meanings) and convert it to an Anki deck. I used Duolingo regularly for a couple of months. It was good fun, so why did I stop? They even have some evidence that their approach is faster than an average university course. 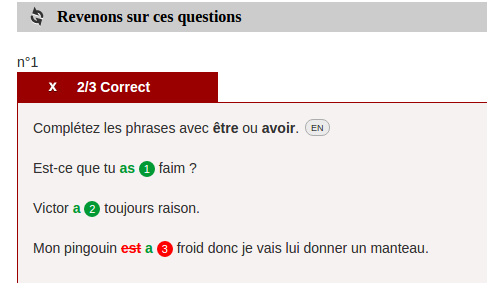 I used their French course, using English as the starting language. 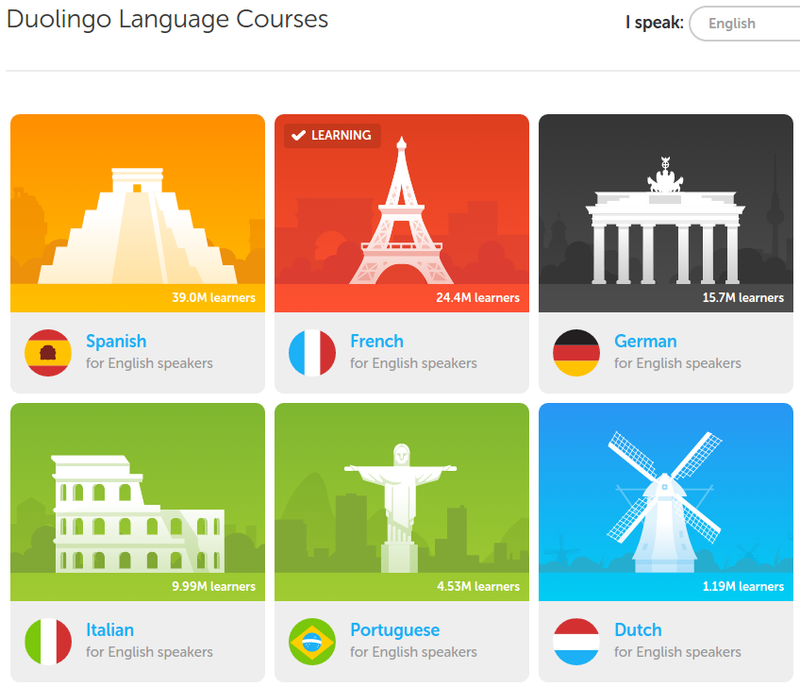 According to https://www.duolingo.com/courses, for English speakers they have Spanish (39 million learners), French (24.4 million learners), German, Italian, Portugues, Dutch (my own language, with 1.2 million learners) and 5 other languages. Another 11 languages (including Star Trek’s Klingon) are currently “hatching”. For other source languages there are less target languages. For instance, for Dutch speakers there is only one course, in English. Starting with the absolute basics, you go through a learning tree. So completing one lesson (or a set of lessons) unlocks the next lesson(s). This gives you some freedom, but stops you from getting too far ahead of yourself. You can see your progress on each lesson/topic (e.g. food, phrases, animals, colours, present, pronouns) – whether you completed it, and whether your knowledge has started to fade. One of the key elements is the idea of repetition and memory fading. 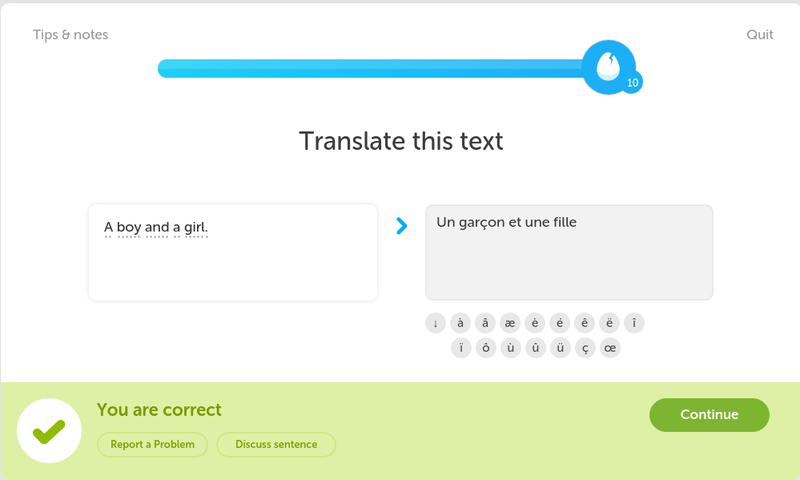 Duolingo makes sure that you keep refreshing what you already know. You can use Duolingo online or as an iOS, Android or Windows Phone app. Lessons are short, giving you regular ‘hits’ as you progress through the lessons. And there is a nice balance between variety and repetition, keeping things interesting without overwhelming you. I suspect that (some of) the sentences are automatically generated, with some funny results like “Je suis une pomme” – “I am an apple”. This entry was posted in Education, French, Languages on September 14, 2015 by coen. This entry was posted in Languages on September 14, 2015 by coen.